But regardless of your gender, age, economic or relationship status, when you are tossing and turning in the dark you may not think that there is anything fun about insomnia. Lack of sleep can make us forgetful. It can also impair judgment, alertness, reaction time, concentration, reasoning, and our ability to solve problems. There have been many other famous insomniacs3, including Marilyn Monroe, Madonna, Judy Garland, Vincent Van Gogh, Napoleon Bonaparte and Margaret Thatcher, who famously said that "sleep is for wimps." Some famous people had some rather bizarre ways of dealing with their insomnia. Abraham Lincoln, Charles Dickens and Alexandre Dumas all developed the habit of taking long night-time walks. Actress Tallulah Bankhead used to pay gay men to hold her hand and keep her company while she lay wide-eyed in the dark, and Groucho Marx is said to have called up complete strangers in the middle of the night in order to insult them. Many insomniacs make up for their lack of sleep by catnapping during the day. While bosses in the U.S. or the U.K. would probably not appreciate their employees sleeping on the job, this practice is quite acceptable in Japan, where the custom is called inemuri, which means "sleeping while present." Believe it or not, to sleep well people need sunlight. Exposure to sun during the day is vital to regulation of the 24 hour sleep-wake cycle of the body's circadian rhythms or biological clock. However, getting too much daylight can be just as detrimental as not getting enough. The constant sunlight seen during summer months at extreme northern or southern latitudes is known to cause insomnia. While it is relatively easy to cut back on caffeine, it could be harder to cut back on nicotine, and even more difficult to deal with another serious cause of insomnia, a partner with an earth-shattering snore. 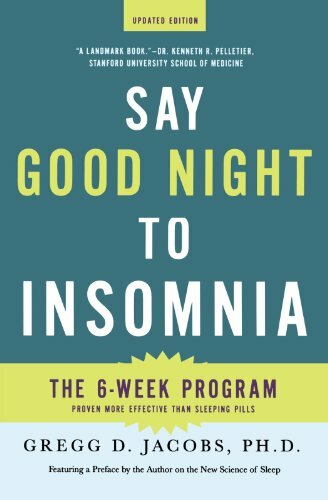 Many experts advise that the best way to fight insomnia10 is to follow a relaxing night time ritual. This could include such things as enjoying a nice warm bath, doing some yoga, listening to a soothing CD, or drinking a comforting, non-caffeinated drink such as camomile or other herb tea. Some people might want to follow Teddy Roosevelt's example and enjoy an alcoholic nightcap, although it might be better to follow grandmother's advice and drink warm milk. This is particularly effective because milk contains tryptophan, an amino acid which helps the body to produce melatonin. Combining warm milk with a starchy snack such as a cookie will increase the relaxing effect of the milk. Lavender oil is said to help relaxation, so part of your routine could be to put a few drops on your pillow before you lay down. Things to avoid just before retiring include eating a heavy meal, watching television or using the computer. Stress is also a major cause of sleep problems so specific techniques to relax the body and mind may prove helpful2. One way to relax the body is to focus on your breath as it flows in and out. Another is Progressive Muscle Relaxation. This involves systematically tensing and relaxing each muscle in the body, letting the tension of the day go a little more each time you let a muscle relax. If your mind refuses to shut down, you can block your thoughts by mindlessly repeating a simple word such as "the", or perhaps even by counting woolly animals jumping over gates. If all else fails and sleep remains elusive, it might be better to get up and do something productive. After all, it worked for Napoleon, Churchill and the Iron Lady. Is There a Link Between Autoimmune Disease and Vitamin B12 Deficiency? Interesting stuff, I didn't know about the connection to sunlight. Good to know. I have no troubles falling asleep at night, my problem is waking up at crazy early hours and not being able to fall back asleep. I'm not a fan of changing the clocks, but springing them ahead was a great thing for me this year. Yes, waking up crazy early is another kind of insomnia. This happens to my husband sometimes. I sometimes have problems falling asleep, but I never wake up at strange hours. Thanks for the feedback, Leigh. I have problems with waking up crazy early as well. However, we live in a basement right now, so the connection between sunlight and sleep cycle is extremely interesting. I definitely do not get enough sun. L. Rose: Do you notice a difference between the summer and the winter? Perhaps you should try to take a walk every day. That way you are getting daylight plus exercise which is also beneficial. 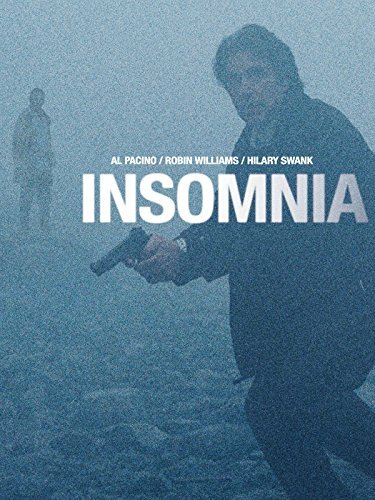 I hope you can get your insomnia sorted. I can join the waking up crazy early club as well. I cannot fall back to sleep. I work out every day and try to keep a sleep schedule. but it is nothing new. Once I am up, I am up for the day. Very interesting article. Sleep Apnea turned out to be the cause of my insomnia. I would basically fall asleep for 10 minutes and wake up with a pounding heart and heat. Assumed menopause when in fact I was stopping breathing 28 times an hour. So anyone with insomnia should get checked out with a sleeping test in a lab just to rule it out. You just never know, as it can get blamed on many things. I use a cpap machine and sleep straight through now. Really good article! Good to hear you found out about your sleep apnea, Sookie, and thanks for pointing out this medical issue that I didn't discuss in the article. Ad a chronic insomniac I've always equated napping with laziness. If I had ever caught an employee in my charge sleeping on the job I would have fired him or her. Cultural differences, I suppose, make certain behaviours acceptable I suppose. Go figure. Good piece--thumbin'! Japan seems to be a sleep deprived culture. It is quite common for kids to catch up on their sleep at school because they spent the previous evening at cram school plus doing an insane amount of homework. When I was teaching ESL to adults and did hobbies as a topic, there would invariably be a Japanese student in class who said their hobby was sleeping.